Dental implants help preserve your dental bone and teeth. This article explains the advantages of replacing your teeth extraction with tooth implants. It also offers advice on where to get affordable implant surgery. Due to the slow economy, many people postponed getting tooth replacements after their extraction in the US. Many dental professionals in the US perform tooth extractions each day without some kind of tooth replacement such as dental implants. It’s understandable given the high cost of a tooth implant. 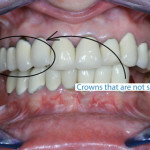 For $4000-$5000 per tooth implant and crown, it’s a small fortune unless you have a stable high paying job. If you are in fixed income, it’s even tougher. Fortunately, you have the option of travelling to Mexico for affordable dental implants. Inexpensive teeth Implants are one of the top procedures that many Americans and Canadians get in Mexico. You can get dental implants for 50-70% cheaper with your Mexico dentist. Aside from low cost dentistry in Mexico, below are more reasons why you should avoid postponing your tooth implant surgery. 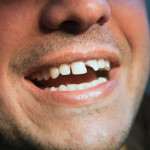 Of course, the following are just risks that can take place if you are missing a tooth. Every case is unique, and you need to consult your local dentist regarding how you are affected by your tooth loss. Your dentist will also tell you teeth replacement options besides dental implants. Sounds shocking? Yes, it’s true, implants help preserve your facial structure. People with missing teeth could experience a slow collapse in their lips and cheeks. You need a tooth root or dental post to preserve your mouth bone structure. If you don’t have proper dental bone, your facial muscles would not have much support to maintain their current structure. After your teeth are extracted, your mouth bones in that area start to recede. Oral bone loss over time causes several issues, include adjacent tooth mobility. Bone loss can get worse with age. Severe bone loss, such as those that could result from wearing removable dentures for many years, could cause your inability to get dental implants in the future. Dayo had a client once who had such severe bone loss due to wearing full dentures that he barely had any bone in his jaw. He was at risk of breaking his jaw easily with a slight accident. With severe bone loss, you can bite on something hard and break your jaw bone. (Yikes, please start saving now for implants!) Unfortunately, he could not get dentures secured with implants without very invasive bone restoration dental surgery from a Maxillofacial Surgeon in Mexico. If you lose a tooth, you are prone to lose adjacent teeth due to dental bone resorption and teeth movement (explained further below). The titanium post will help prevent bone loss. 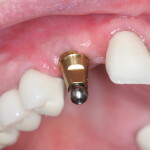 The implant crown also helps prevent the teeth movement. If you lose a bottom molar (such tooth #3), the adjacent teeth could start to move to close the gap where an existing tooth used to be. Teeth movement could compromise your bite, which could give you TMJ or gum recession. TMJ issues can cause headaches, back pain, or even locked jaws. Overtime, minor tooth movement can cause gaps in your teeth where food can get stuck causing periodontal problems that give you bad breath, bleeding gums, bad mouth taste, or cardiovascular issues (ok stop! I get it). Let your dentist in Mexico replace that tooth extraction with low cost tooth implants. I just watched Les Misérables (wonderful movie) last night. In the movie, set in the 1830’s, it’s common for people to be missing teeth. Well, we live in an age when people judge you by your oral health. Your teeth stand out, especially if you are out dating or applying for a job. One of the benefits of dental implants is proper chewing of food. Chewing food is so important for better digestion of food. With better digestion, you get better absorption of nutrients. The permanent tooth replacement allows you to chew your food just like your regular tooth. With better chewing, your steak would taste so much better as well. Replace your missing tooth to maintain proper phonetics, or how you pronounce words. We hear this complaint from our clients who say they have a hard time pronouncing words due to their missing teeth. Implants, if installed properly, are a lifetime investment in your oral health. Most health care professionals agree that it should rank high in priority to maintain your health and well-being. Do you have dental implants? Tell us about your experience. 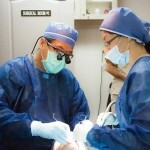 Find the how you can see the best oral surgeon in Mexico for your affordable dental implant surgery through Dayo Dental. Call us at 877-987-3296. This article is written by Dayo Dental to provide you general information about dentistry. It is not intended to provide specific treatment advice about your dental case. Consult with your dentist for professional recommendations about your oral health.